It looks like things could get even worse. Scarlett’s WBC is down to 0.2 (the low end of normal is 5.5) and her ANC is down to 21 (low end of normal is 1500). She had a platelet infusion because they were down to 15 (low end of normal is 150). This morning we found an infection in her right ear. Now that she has a fever and a known infection, she has to stay in the hospital until she has enough white blood cells to fight it. So we are here for 1-2 weeks minimum. Tonight is Scarlett’s last dose of 6-MP for this cycle. After that her counts should start to recover. Hopefully in those 1-2 weeks her body will start to make healthy cells. Once her levels stabilize, we start this 4 week process all over again (preferably without this infection). I worry tremendously about Scarlett. 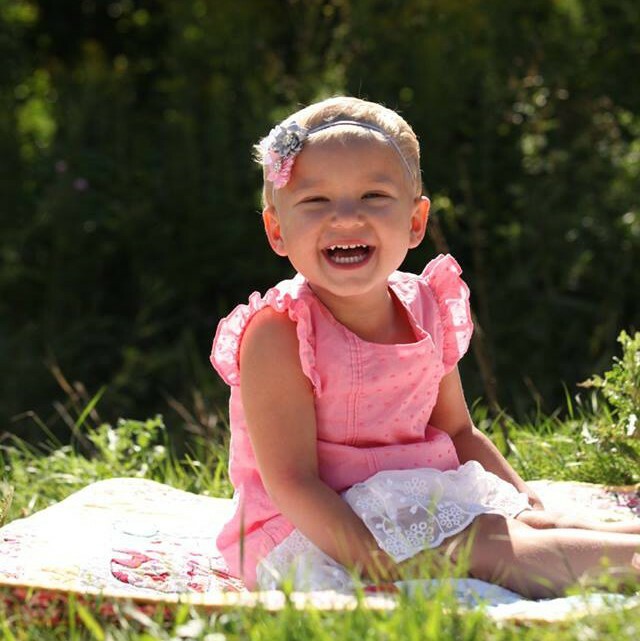 According to her oncologists, most children don’t die of cancer. They die of infections they get while being treated for cancer. She slept for 13 hours last night. Now that her antibiotics are kicking in she seems to be perking up a little bit. She hardly ate anything today. She doesn’t like the food here so I’m afraid she will need a feeding tube eventually. Tate is having a difficult time again. He is always very loving when he sees Scarlett. Then she yells at him and he gets sad because he couldn’t give her a kiss or make her happy. The next few weeks will be difficult because we won’t be together. I hope that he doesn’t take it out at school. Our room is right across from the elevator so while they waited for the elevator I stood in the door. I saw his lip quiver and he ran back to give me a hug. As the doors closed I saw him start to cry. I miss my little man so much. It has always been so important to me to be home to tuck them in every night. I want to give him a hug and kiss and talk about his day. Evie was very affectionate tonight. She gave me lots of hugs and kisses. She sat on my lap for a long time. I so wish that I could give her snuggle bugs every night. She has been a little sassy lately but it’s hard to tell if all of this affecting her or if she is just two. I really hope that they are all too young to remember any of this. I hope that being away from her so much doesn’t affect our relationship down the road. A mother daughter bond is so important and I feel like I am neglecting that. For the next two weeks, Brock and I will have very little time together. When one of us is at the hospital, the other will be at home or work. I would like to believe that there will be a moment or two to have a quiet moment together to discuss the situation and just know each other’s feelings. We are hoping to have dinner together every night after work. But that’s a 45 minute drive each way after an 8 hour day of work. It’s only a matter of time before that’s just not realistic. I also hate the fact that I have to work but we just can’t go two weeks with no income. So the days go on. Every day we hope that Scarlett’s counts go up and we are that much closer to going home. I am so excited for our first night home together to just be a family. I want to hold all three of my kids together and know that we are home. I hope with all my soul that Scarlett gets through this – that we all get through this. I know that we are a strong and loving family. I just need us to have endurance too. Sometimes this is not a day to day battle but an all out war. We have no idea what is over the next hill but we have to hope that we will see the other side.